Buena Vista offers strain-specific, whole flower premium rolls with flower sourced from our exclusive network of artisan cultivators in Northern California. Wrapped in unbleached Dutch cones, our premium rolls are sealed with a Boveda™ two-way humidity control to retain exceptional potency, flavor & aroma. Each Buena Vista box contains five half-gram premium rolls, wrapped in non-bleached paper cones for a cleaner, more natural draw. Designed in partnership with Boveda™ we created the Resealable Humidor so our premium rolls maintain the highest levels of freshness and flavor. The base of our packaging is an oxygen-resistant, Mylar pouch with a tamper seal and resealable zipper. Within the Mylar pouch, we pair our premium strain specific cannabis with Boveda’s 2-way humidity control to provide the ultimate freshness. It's as if you’re opening the product for the first time—every time. Buena Vista has over 20 years of experience in medical cannabis production and have been actively involved in the Northern California cannabis industry since the inception of California's landmark bill, Proposition 215 in 1996. We are committed to producing the purest, most enjoyable products available. One premium flower roll at a time. 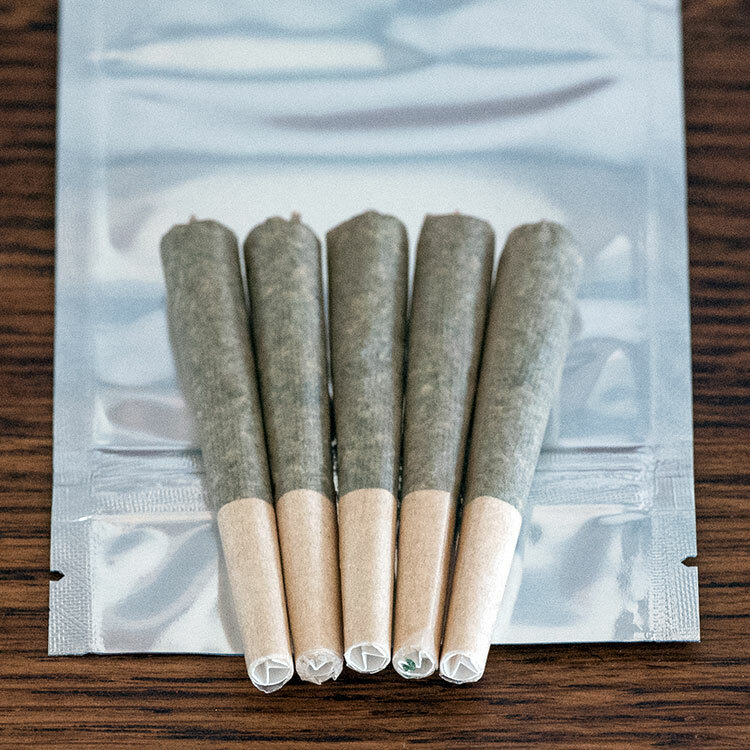 Our premium rolls are sized for single-use enjoyment, so you don't have to carry around a half-smoked cone.